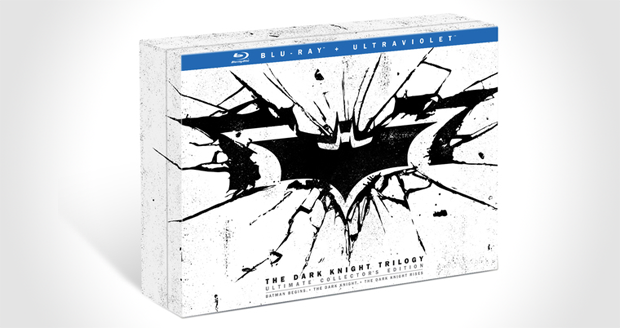 The Dark Knight Trilogy Ultimate Collector's Edition contains not just the three films, Batman Begins, The Dark Knight and The Dark Knight Rises but also unseen special features, exclusive interviews, nehind the scenes footage and the IMAX sequences of major scenes. If that wasn't enough there is also three Mattel Hot Wheels vehicles. the Batmobile, the Batpod and the Tumbler. AND a massive book which contains productions stills, images from the movies and collectable cards! 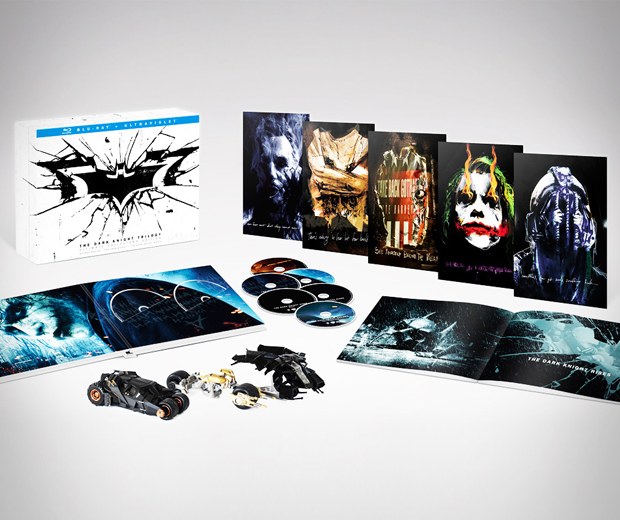 Wow that really is the ultimate collectors edition!